[SatNews] The evening of June 26th marked the end of Sentinel-2A's first three days in space, which witnessed teams on the ground working around the clock to ensure the spacecraft is ready for its 'color vision' mission. 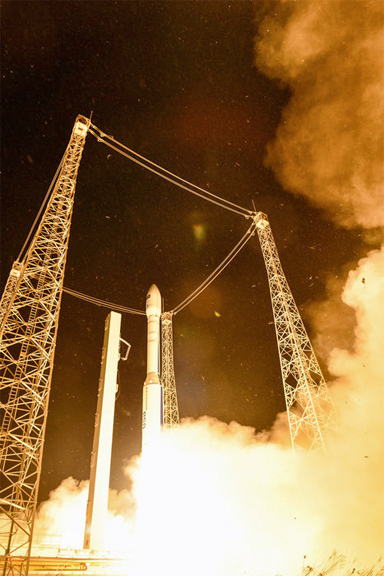 Vega VV05, carrying Sentinel-2A, lifted off from Europe’s Spaceport in Kourou, French Guiana, on June 23rd, 2015. Sentinel-2 carries an innovative wide-swath, high-resolution multispectral imager with 13 spectral bands for a new perspective of our land and vegetation. The second in the two-satellite mission—Sentinel-2B—is being prepared for launch in 2016. Photo is courtesy of ESA—M. Pedoussaut. The ESA-developed Sentinel-2A satellite lifted off on a Vega rocket from Europe’s Spaceport in Kourou, French Guiana, at 01:52 GMT on June 23rd. (03:52 CEST; 22:52 local time, June 22nd). The 1.1 ton satellite carries a high-resolution optical payload that will gather some of the best global imagery ever delivered from space of land and vegetation for Europe’s Copernicus environmental monitoring program. This information will mainly be used for agricultural and forestry practices, as well as help manage food security, monitor pollution in lakes and coastal waters and contribute to more rapid disaster mapping. Delivery into orbit marked the start of the critical Launch and Early Orbit Phase (LEOP), which has seen ground teams at ESOC, ESA's space operations center in Darmstadt, Germany, working around the clock to activate crucial onboard systems and ensure the spacecraft’s health in the extreme environment of space. The mission control team dealt with several typical problems seen in any launch, including issues with a sticky valve, a star tracker and a GPS unit. 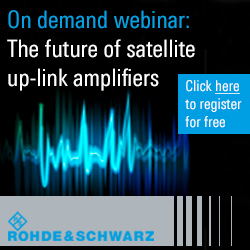 These have been resolved and the satellite is now in excellent health. "We conducted our first orbital maneuver using the Sentinel-2A thrusters yesterday, and this went exactly as planned," said Spacecraft Operations Manager Franco Marchese. "Overall, this LEOP has gone very smoothly and we are well en route to achieving our reference orbit within next week." 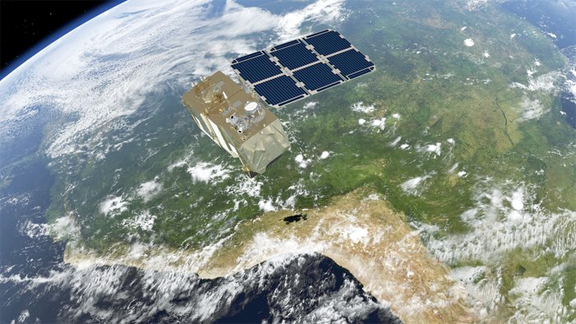 Flight Director Pier Paolo Emanuelli reported on June 27th that the Sentinel-2A LEOP phase had formally ended, with the spacecraft and ground systems all operating as expected. "I wish to thank all the teams involved in Sentinel-2A, including those from industry, the project at ESTEC, ESA's technical centre, and here at ESOC, for a job well done," he said. "The satellite is in great shape and the commissioning phase—when we ensure the spacecraft and its multispectral imager payload are ready for routine operations—has now started." Artistic rendition of the Sentinel-2 satellite. Image is courtesy of ESA/ATG medialab. ESA's Omar Sy, ESA’s Sentinel-2 System, Engineering and Operations Manager, responsible for the three-month satellite commissioning campaign, explained that the two main objectives now will be to assess and characterize the spacecraft performance. In parallel, calibration and validation activities will be conducted for the multispectral imager (MSI) payload involving CNES and ESA. The spacecraft will also be readied to start the routine acquisition of high-resolution images of Earth’s land surfaces, large islands, inland and coastal waters on a ten-day revisit cycle, which will drop to five days when the constellation with the Sentinel-2B satellite is implemented in 2016. "The next three months will see a lot of hard work by teams at ESOC, ESTEC, ESRIN and CNES supporting image quality activities, as well as at DLR and Tesat, as we also commission the new optical data communication capability," he said. "We're opening a door to a new era in space—we're confident Sentinel-2's high-resolution capability will establish new leadership, particularly for vegetation imaging." Sentinel-2A and -2B are planned to conduct a seven-year mission, that could be extended by five years, and monitor Earth from an altitude of about 790 km.